The never-before-seen history of Westeros and the lands beyond. With hundreds of pages of all-new material from George R.R. Martin. If the past is prologue, then George R.R. 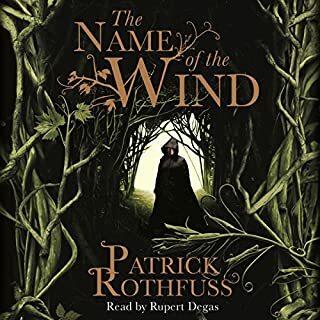 Martin's masterwork - the most inventive and entertaining fantasy saga of our time - warrants one hell of an introduction. At long last, it has arrived with The World of Ice and Fire. George R.R. 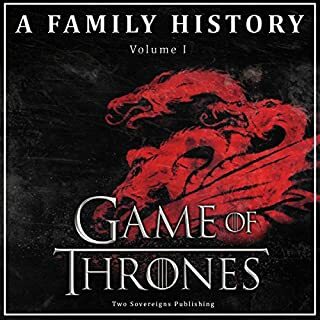 Martin, in collaboration with Elio M. García, Jr. and Linda Antonsson, has written a comprehensive history of the Seven Kingdoms, featuring the epic battles, bitter rivalries, and daring rebellions that lead up to the events in the bestselling A Song of Ice and Fire series. As a physical book, with illustrations and all, this book works really well. 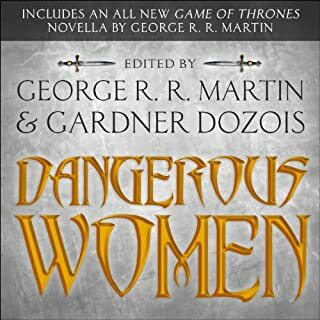 If you want to read about Dorne, you just thumb through to the 'Dorne' section – it has maps and you can find the bits and pieces that you want to read through, without having to go through everything else as well. 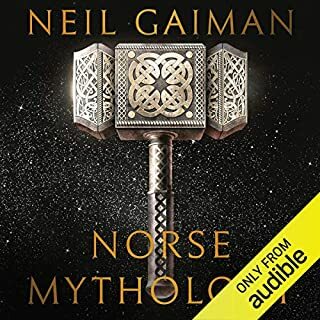 With this audiobook, you listen to everything from the dawn of time onwards, through every Aegon, Aemon and Aerys, through where one Aegon kills the other Aegon and so on and so forth. If you are intensely interested in the subject matter, this will be fine and you will have a great time. I enjoyed it for the most part, but I will freely admit that I am the horrible sort of person who goes online and posts in forums regarding the series. I do not think that the casual reader will get the enjoyment out of this that they would get from the physical copy of the book. So glad I purchased this. Don't think I could have read this. The audio was brilliant. Thrones fans only. If you enjoy worldbuilding, this is a gem. I probably actually enjoyed this more than the Song Of Ice And Fire books. 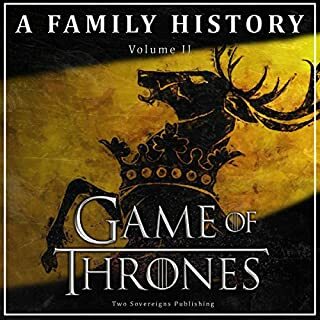 It reminds me of some of the "History of England" books I read growing up, and each listen through I've picked up new aspects that affect the ASOIAF story line. 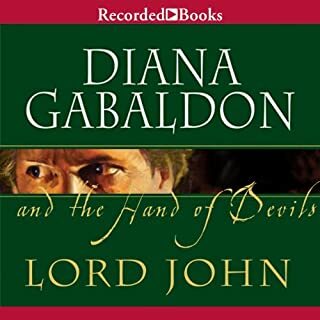 Plus Roy Dotrice is such a great narrator for this kind of book. I like the use of the alternate narrator for the asides and footnotes. The "history" is painted in broad strokes so you can flesh out the world. This is very much like a wide shot, and the ASOIAF stories are in closeup. Loved it. 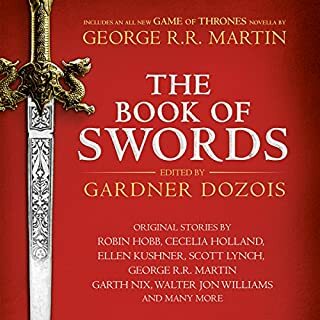 I’m a Game of Thrones fan, but this book is boring. It’s like a getting a history lesson by a bad teacher. 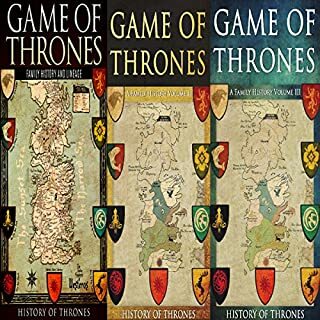 If you want to learn the history of every descendant of every family in Game of Thrones and which descendant rode which dragon 300 years ago then you might like it otherwise stay clear. 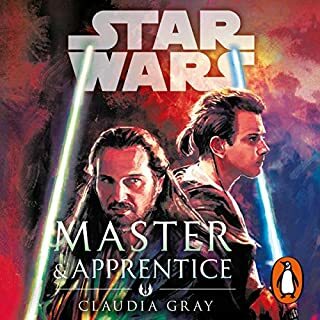 The man reading the book sounds like a maester which was good but he lacked variety in his reading and it got a bit tedious. For fans wanting to learn more! 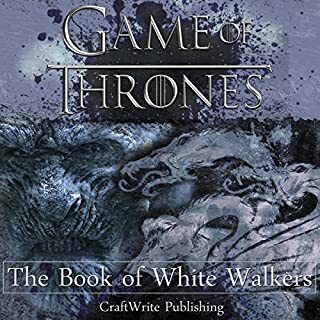 Highly recommend downloading the GOT map app for this book!! Great addition to the GOT lore! It fleashes out a lot of history & lore before 'Robert's rebellion' about 'Westeros' and the lands across the narrow sea! After reading the previous books, you are left with a thirst for knowing more info on so many topics that George mentions in passing; this tries to give you background information some places, or cultures you might have been interested in knowing more about. I know there's a story about 'Sir Duncan' but I wish this gave more than a nod to his story. I wanted to know more about his travels with Aegon & maybe what became of them later. 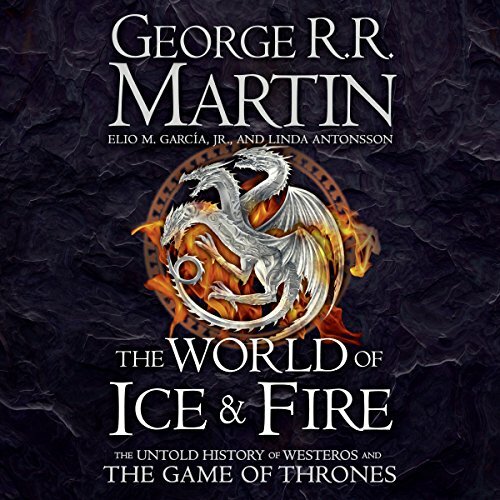 an amazing book on history of Ice and Fire. it tells many untold stories and expands on many off hand comments from the books. the footnotes are done absolutely phenomenally. Poor performance spoils Doltrice's record. Out of breath, little or no expression, inappropriate pauses, no voice modulation, all the pointers to an ill-prepared first reading. What a pity that Doltrice's last performance in the World of Ice and Fire series will forever spoil his excellent record. 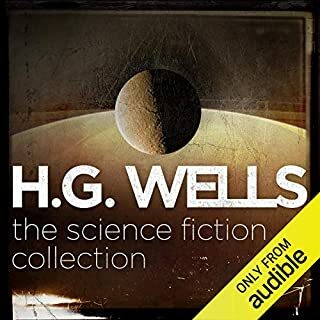 Not sure what or how it happened, Roy Doltrice was probably quite unwell by the time he made this recording, but why release it if he wasn't able to bring it up to the standard of his previous readings. Whatever the reason, the end result is extremely disappointing and does no justice to a great story. if you are a massive fan of the books. then this is for you. production needs a little work as there a few places where words are missed or separate recordings joined to close. I would agree with some users that it can get a bit dry in certain parts, at very start and towards the end a bit. 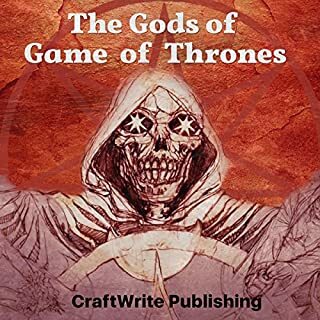 But for anyone who wants to know what happens to Dunc & Egg, or anyone who has a keen interest in the GOT universe it's a must read. Struggled to finish, no storyline or plot. Written as a badly authored history book. It's a shame given how well the thrones canon was written. fiction more interesting then fact. 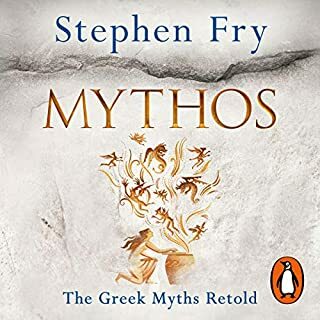 Altogether brilliant however... Whilst I adore everything about the mythopia Martin has created I feel perhaps this should have been released after the story has come to a close, because I couldn't help feeling there were concessions and omissions made for the sake of avoiding spoilers. His brain is a marvellous thing and it makes sense to write it from the point of view of a maester of the citadel, because he can blame plot omissions and changes on the maester's ignorance and the point in time he was writing. 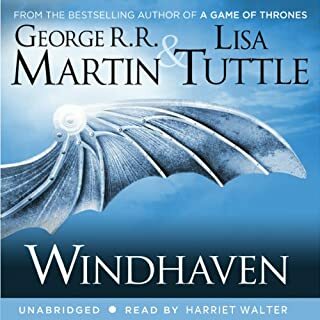 I just love the GOT saga, but after having bought all the books I have not managed to keep listening to the first one for more then an hour.... I tried but could not take any longer the character’s voices, the tones etc. 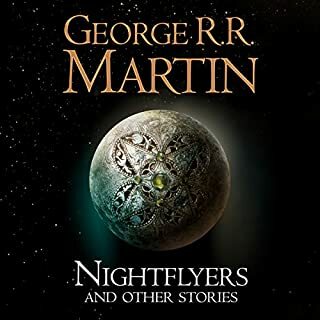 I would love Steven Fry’s version of GOT, would surely buy all the books again! Really great to hear the history and nuances of the world of ice and fire. I really really enjoyed this history but it's not a natural fit for an audiobook. 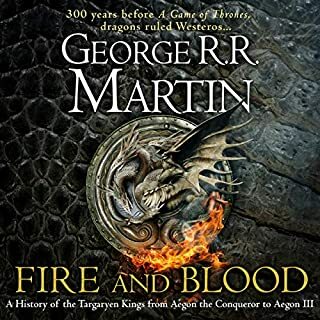 As the cover says this is a history lesson for those who have read Ice and Fire. As such it is not suitable for those who are not fans of the series. However for those who are i cannot imagine anyone has ever written as good a fictional history as this! 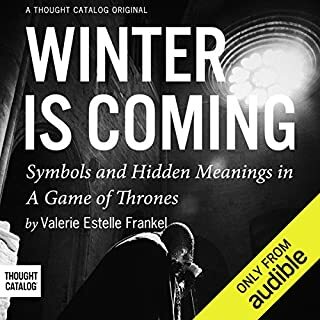 I love GOT books but the narrator is almost unlistenable to. Dire, don't waste money. Literally sends me to sleep though because the voice over isn’t engaging in the slightest. The dead really good, however I was really distracted by one of the readers, he sounded very mumbled ,slurred ,and even stumbled and repeated words,was this proofed? he struggles to take breaths in the correct places Which makes it difficult to sound fluent . I'm sorry to leave a critical post but it was disappointing for the price. 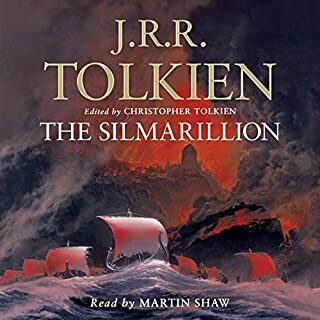 I'm assuming that this was George Martin's attempt at The Silmarillion where the need for pre main story history was thought to be neccessary. For sure, Tolkiens book was another masterpiece in as much that it was beautifully written and had a story line, but this is just a list of dates, events and characters with no real thread. The narration was abysmal. Hesitant staccato style very uneasy on the ear. 2 out of 10. Can do better.